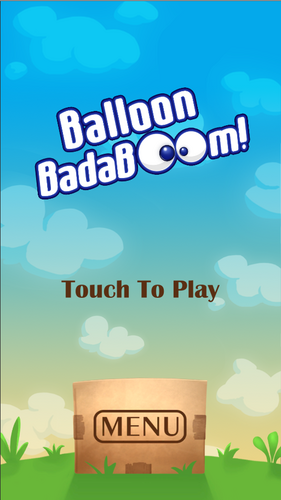 Baloon Badaboom! 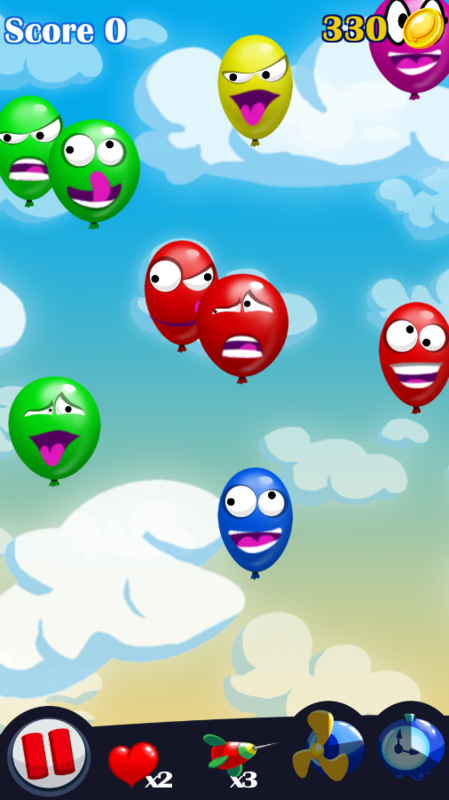 is a combination between Tetris and Candy Crush Saga. 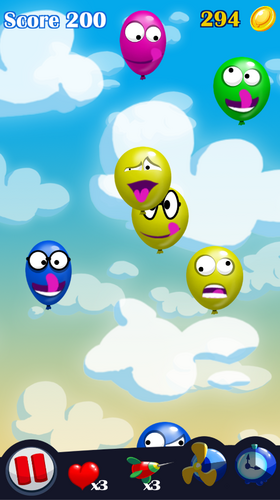 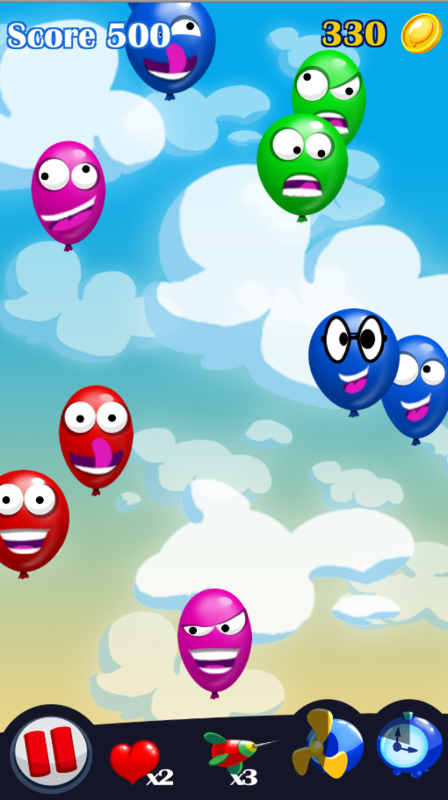 Balloons in different colors fly from the bottom to the top of the screen. 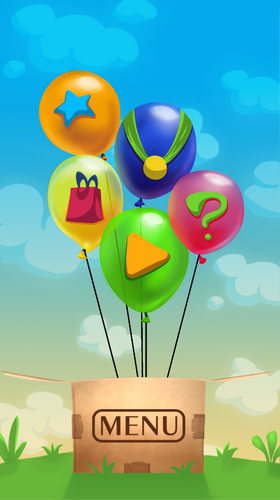 You need to match balloons by colors by dragging them next to each other. When you match three of them (or four, by connecting two double balloons), they pop up and disappear from the screen. Manage your space carefully! 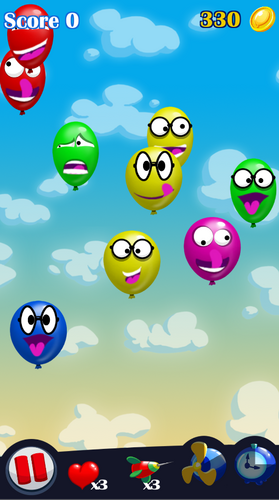 If balloons of different colors touch, you lose a life! 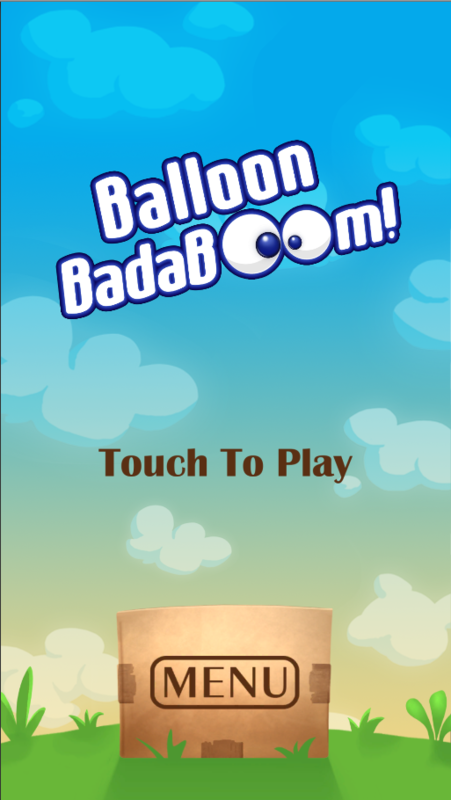 When a balloon approaches the top of the screen, you need to drag it down so it doesn't fly off. 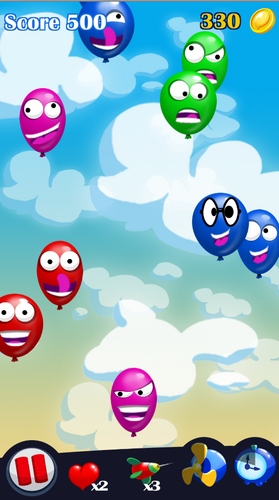 Drag balloons around to make way for matching. 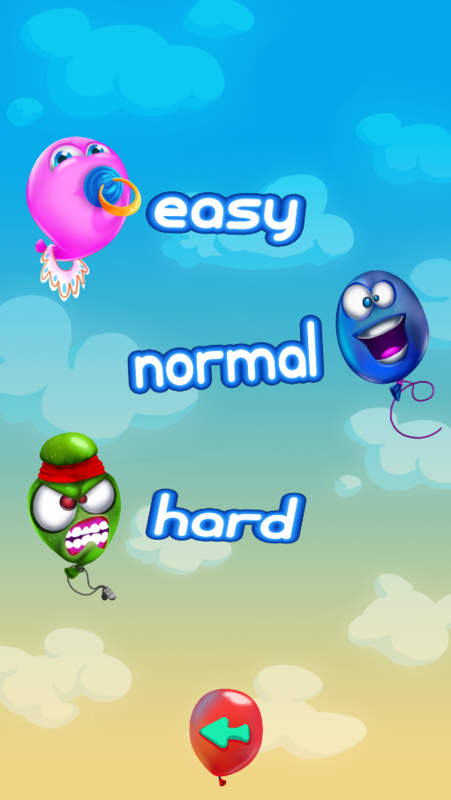 Use the power-ups: dart, slow time and fan to survive longer.